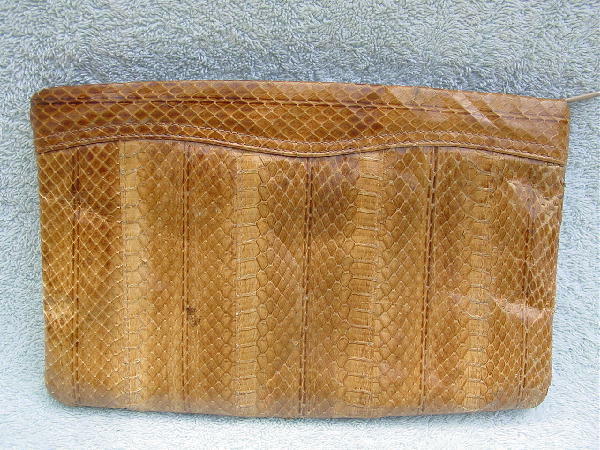 This vintage multiple shades of tan and light brown snakeskin clutch has a top side to side zipper and was made in Hong Kong. 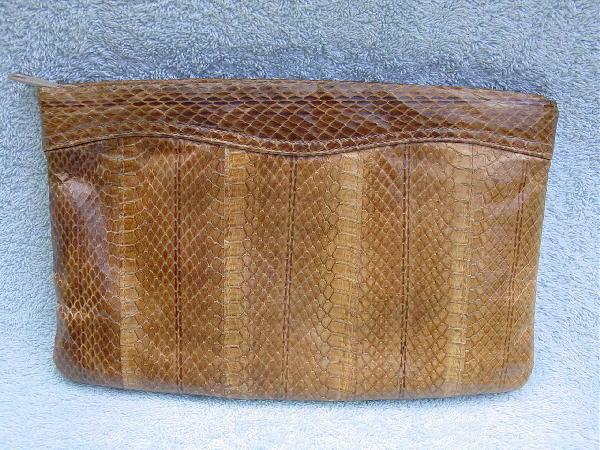 The thick interior vinyl lining is in a buff-tan color. There is a roomy interior zipper compartment with a gold-tone tag that says Clemente. Some of the scales are worn on one top rim side from being carried. Except for three small light blue ink marks and a maize color line, the interior looks like it was never used. It's from a retired New York model.